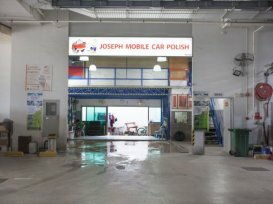 Joseph Mobile Car Polish provides excellent cleaning packages for all vehicles. 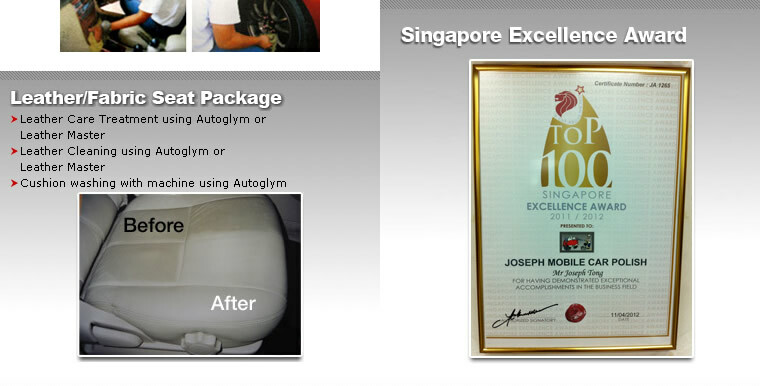 They provide both interior and exterior car wash with Autoglym products. Leather cleaning is also available. They can restore the original shine from your leather seats within hours. Paint protection, Wash and Wax, Tyre Shine and Cushion wash are also available. Most importantly, the charges are very reasonable. If you require, mobile polishing is also available but pre-booking is necessary to avoid disappointment! Used their mobile wash and polishing nearly 6 years ago on mu SUV. Was told will require about 1.5 to 2 hours job. The job was completed in 40 minutes. Have not use them since.